Monterey County and the MCCVB take personal responsibility to protect our destination's incredible natural assets and pristine landscape, recognizing the importance of sustainability and giving back to the community. This mindset extends to how we conduct our events and conferences. Our hotels partner with and have been awarded designations from LEED, ISO, ASTM, GMIC, EPA, TripAdvisor Green Leader, California Green Lodging, CalRecycle, Monterey Bay Green Business Partnership and others. Through recycling, composting, reuse and repurposing, many of our hotels have more than 60% diversion rates and they partner with the Monterey Regional Waste Management District and Compost Coalition program. 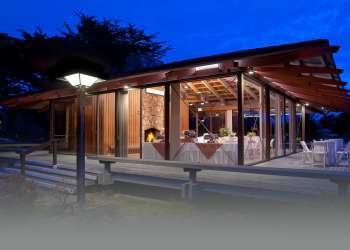 Upgrades have been made at each hotel based on Monterey Country standards, including Energy Star appliances, occupancy sensors, efficient lighting, and other features. Electric vehicle charging stations are also available at many hotels and throughout the destination. In California, nothing takes precedence like water conservation. Drinking water is supplied upon request; low-flow and water saving appliances are installed; guests can opt out of linen replacements, xeriscaping is implemented; ozone and grey water systems are in place at some facilities; and water conservation education and signage abounds. Policies among our hotels and restaurants ensure that their variety of products each meet standards accordingly whenever possible, including being biodegradable, non-toxic, locally-sourced, packaged in bulk, organic, made of recycled materials, and certified as sustainable. Monthly tracking of these initiatives is standards for most of our partners and in most cases a post-event sustainability report can be provided upon request to event and meeting planners. For more information on Green Meetings and on sustainability practices at specific hotels, contact your Strategic Client Services team at 831.657.6412 or sales@seemonterey.com. Learn more about Monterey County sustainability initiatives here. With agriculture as our number one industry, we use the freshest locally-grown food and wine in our catering choices, reducing the carbon footprint. The Monterey Bay Aquarium’s Sustainable Seafood Watch program sets standards around the country for responsible seafood menus. Area businesses lead the industry in sustainable business practices. 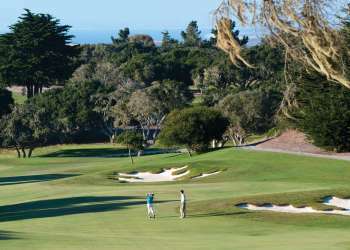 The Monterey Regional Waste Management District that has the highest displacement percentage in the country, so you can feel good knowing your event was low waste or had zero landfill impact. Here is a list of local resources for your next green meeting and event in Monterey County. Monterey Bay Aquarium’s Seafood Watch: information on choosing seafood that’s good for you, and good for the environment. Pass It On Please: keeping corporate trade show swag out of our landfills and into the eager hands of our schools and those in need. Monterey Bay Green Business Partnership: Our list of members who have been certified by the MBGBP.